If you'd had some tasty blackberry cobblers or maybe some fresh raspberries from the Morgantown Farmers Market, there's a good chance you've run into Mike Goff from Mike's Berry Patch. 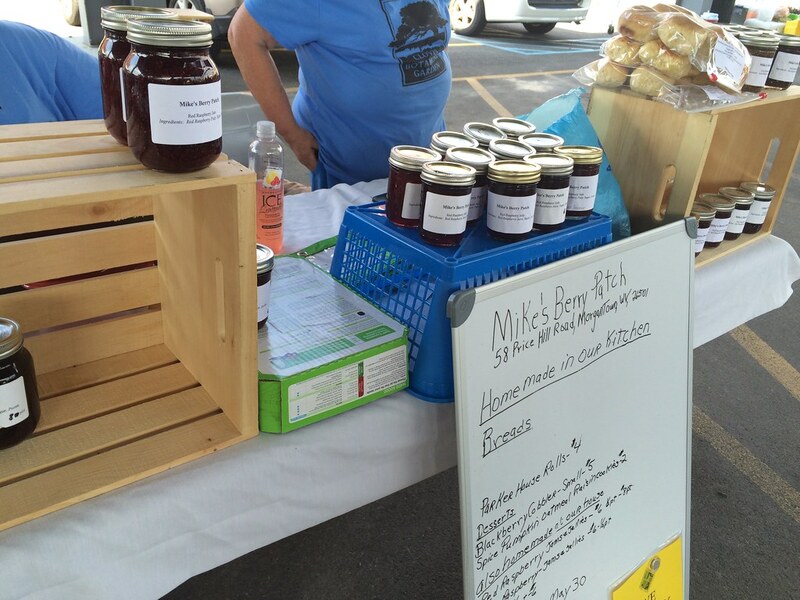 Mike is a mainstay at the market, slinging delicious homemade breads, desserts, jams, jellies and fresh berries. Meet Your Farmer! This week’s featured farmer is Mike Goff from Mike’s Berry Patch. Mike is a Morgantown native and has been growing red and gold raspberries, as well as blackberries, in the Morgantown area since 2001. Mike lives, and farms, off of River Road. Initially Mike started selling his berries door-to-door to the neighbors where he became known as “The Berry Man.” A few years later Mike began selling his delicious berries at the Morgantown Farmers’ Market. Mike has been a vendor at the market each year since its inception, with the exception of one year. Mike also gets help from his mom, Mary. She helps with the baking. 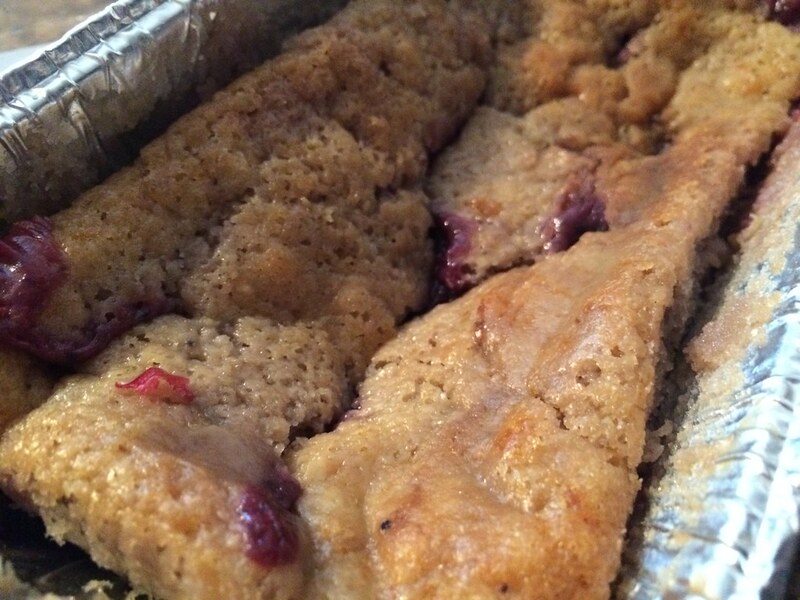 She makes delicious breads, cobblers, and other assorted baked goods. Mike says that the farming takes up a good amount of his time and energy, and if not for her he wouldn’t have the assortment of products for sale that he does. Mike is also a great help to the market staff. He never hesitates to help whoever needs it! Last year he even volunteered as the “unofficial” assistant manager. Mike says that prior to the market he used to be a shy person, but the market has helped him come out of his shell and now he doesn’t mind starting up a conversation with anyone! Danielle: What got you into farming? Mike: I was interested in growing, especially raspberries. D: What is your favorite crop? M: Raspberries. I enjoy growing them, eating them, and selling them. I like to make my customers happy! D: Is there anything that you want to tell me? Something you’d like your customers to know? M: I think it is important that people know that raspberries and blackberries are very healthy, and they’re high in antioxidants. You should eat them often for health reasons! D: Do you mainly sell preserves? Or other stuff? M: I sell a lot of fresh berries in half-pint containers. I sell frozen berries, which I mainly sell during the winter-time. Fresh berries should be available from the middle to end of June, until October. D: What’s the best way to keep your berries fresh? M: You should refrigerate them as soon as possible, what you don’t eat immediately. And don’t store them with apples or other fruits which might omit ethaline gas causing them to rot. And whatever you’re not going to eat in a reasonable amount of time you can freeze. Studies have recently shown that freezing berries doesn’t affect their nutritious quality. D: Anything I haven’t asked that you want to share with your audience? M: We don’t have a set up for pick-your-own. We prefer to bring our products to the market. D: What’s your favorite part about the Farmers’ Market? M: I enjoy meeting with the customers and being able to help people when possible. I like to make life easy for people around me to enjoy the shopping experience. D: What are you most looking forward to this summer? M: I’m looking forward to my crop starting to come on, I really enjoy the harvest and sharing my fresh produce. I also look forward to coming to the market and helping others each week.